The daily traffic flow at your place of business results in the inevitable degrading of your asphalt paving in both parking lots and the drives up to your business. Asphalt is our recommended paving surface for parking lots and drives due to its durability and longevity. After your preliminary paving investment, it is central to prolonging the life of your asphalt to get your business on a regular preventative maintenance program. 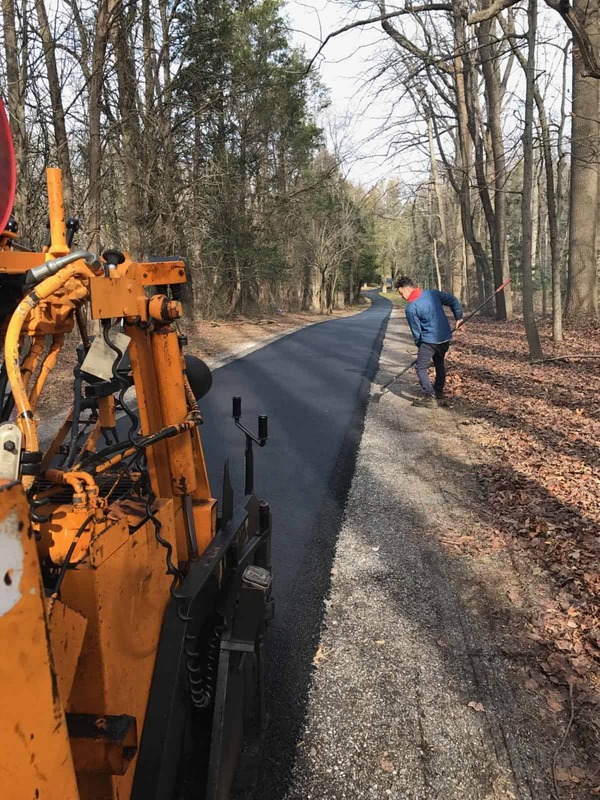 Capital Paving & Sealcoating offers all types of cost-effective preventative services to help our clients maintain and maximize the life of their asphalt. Before we begin any preventative maintenance or repair one of our trained professionals will visit you on site to assess the surface of your pavement. From there they will determine the best solution and course of action to take within the budget that is best for you. Regular sealcoating and line striping are the suggested forms of preventative maintenance for your place of business. Nevertheless, there may be times when you need a more aggressive approach to fixing issues such as an area of cracking or potholes. How are patchwork repairs completed? When you notice potholes forming in areas of your parking lot or areas where the surface of the asphalt has loosened and is crumbling. It is time to contact a professional contractor to address these issues before they become bigger problems. Fortunately, if noticed and addressed early these failures in your pavement can be fixed before the foundation of your paving project is compromised. If patchwork is determined to be the best solution for your issues, we will schedule a time to come out that is best for you and your business patrons to begin work. 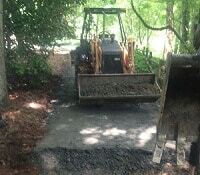 We strive to complete all projects within a timely manner with as little interruption to your business as possible. 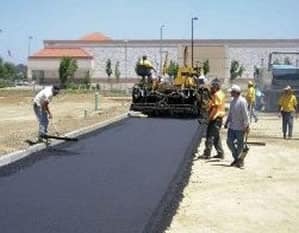 The process of patchwork includes milling into the top layer of the surface of your established parking lot, or drive, and applying a new layer of asphalt. In more dire circumstances, such as deep potholes or severe cracks, we may have to drill down into the substrate to remove the damage. 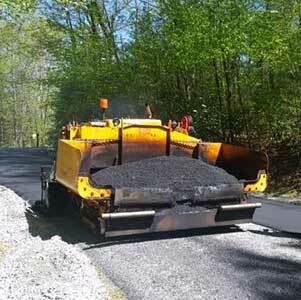 In this case, as with milling, we will remove an extended radius of the damage before applying brand new asphalt. This ensures that the damage does not spread creating further cracking beneath the surface. What causes my parking lot and drive to become damaged? Factors such as natural elements like the weather and varying temperatures, salt treatments, weight-bearing vehicles, daily traffic flow, and chemicals that leak from cars and trucks inevitably initiate the weakening of your asphalt. Although the surface of your paving investment may be beginning to show signs of deterioration it does not mean it has been sentenced to a full excavation and repave. 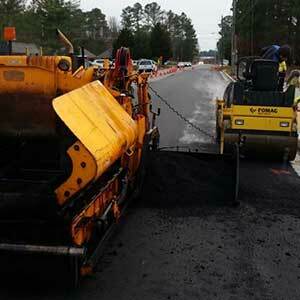 On the contrary, quality asphalt paving projects will last you up to 20 years when taken care of. However, it is vital for commercial property owners to take ownership of their asphalt maintenance and protect their investments for optimal return. Why should I have my potholes and cracks repaired? The appearance of your parking lot, or drive, in front of your business directly affects the perceptions and assumptions of those that see it. Parking lots and drives are the first impressions that a potential customer perceives before ever walking inside to inquire about your services. In addition to lowering the customer’s expectation, if the area is not maintained, it can also lead to their frustration. Asphalt that has not been maintained can make it difficult for drivers and pedestrians to access your place of business or find adequate parking. It can also lead to damage to vehicles and the possibility of personal injury to patrons. If found liable to either or both it could result in unanticipated out-of-pocket costs for you as a business owner. Preventative maintenance is an ongoing process after your initial paving investment, but it is necessary to protect and maximize the lifespan of your installation. Capital Paving & Sealcoating is here to help you preserve and maintain the durability of your parking lots and drives.